On arrival in Beijing by international airplane, you will be met by our driver and transfer to your hotel in Beijing, rest in the hotel. Free for the rest of the day. After breakfast at your hotel, start your tour with the visit to Tiananmen Square, the largest public square in the world. 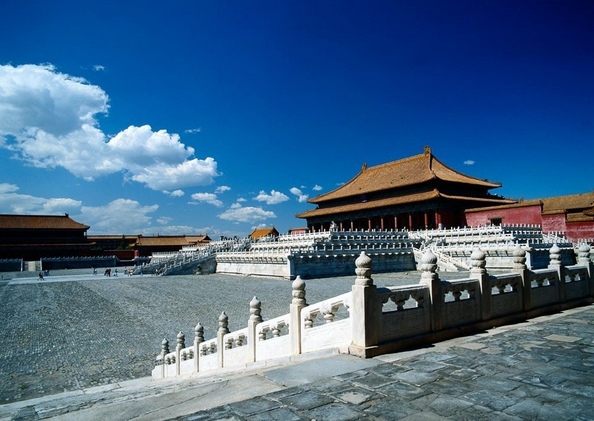 Then move on to the Forbidden City, the Chinese imperial palace from the mid-Ming Dynasty to the end of the Qing Dynasty. Following head to the Shichahai Area-the old part of Beijing. First you have a hard-to-get-opportunity of one-hour tour of a 300-year old courtyard. With the help of your English speaking tour guide, the housekeeper of the yard gives you a detailed explanation of the old courtyard (Siheyuan)-its history, its layout, its Fengshui, and its traditional Chinese culture involved. Then take a pedcab and drive through the zigzag and narrow alleys or hutongs. Two people share one rickshaw. Drop off the peidicab at the Silver Ingot Bridge( Yinding Bridge ) and walk along the 800-year old Yandai Xiejie(Tobacco Pipe Lean Street ), and get to the Drum Tower. Ascending the 67-meter high and two-story Drum Tower dating from 1420 is sure to bring you back to the old Beijing by seeing the big drum tower and having bird's eye view of the surrounding communities of hutongs and siheyuan -Existing traditional courtyards in Beijing. Back to your hotel. Half day excursion to theBadaling Great Wall.The most beautiful section of the all 5 sections of the Great Wall in Beijing. The hike takes about 2-3 hours. Head back to the downtown Beijing. After lunch, move on to the downtown Beijing to visit the Temple of Heaven, the place where the emperors of Ming and Qing Dynasties worshipped heaven and prayed for peace and harvest. 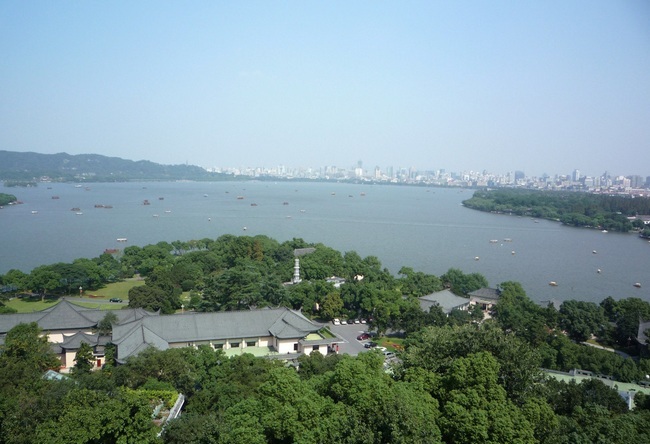 After breakfast, start your morning tour with the visit to the Summer Palace, Originally a royal garden and a temporary dwelling palace for emperors of Qing Dynasty. head to the Olympic Green to have an outside look at the Bird's Nest and Water Cube. Then,Free shopping time in Wangfujing street on your own. Enjoy yourself at the hotel until transfer to train station, take train to Datong. K43 10:55/17:24 ,Arrival at Datong in the afternoon, c heck in hotel , rest in the hotel. Our tour guide will pick you up from hotel in the morning, and take you to visit Yungang Grottoes. They are excellent examples of rock-cut architecture and one of the three most famous ancient sculptural sites ofChina. The others are Longmen and Mogao. Then we will visit Huayan Temple, which is the largest and most perfectly preserved temple of the Liao (916-1125) and Jin (1115-1234) dynasties inChina. Be transferred back to your hotel after visit. Visit the Yingxian County to visit the Wooden Pagoda, this pagoda is the oldest and highest wooden structure inChinaand is regarded as the 'First Pagoda in the World' and a gem in the architectural field. It has now also been placed under national emphases under the Cultural Relics Protection Units. Then move on to Hanging Temple, the temple was built in 491 with a history of more than 1400 years, and locates at the foot of Mt. Hengshan, 65 kilometers (40 miles) from downtown Datong City. The Temple hangs on the west cliff of Jinlong Gorge more than 50 meters above the ground, hence it is called Hanging Temple. The biggest attraction of Hanging Temple is the fact that the temple includes Buddhism, Taoism and Confucianism. Be transferred to Wutai mountain after visit. Our guide will pick you up from your hotel Wutai mountain in the morning. Firs visit the- Xiantong Temple (1 hour): The temple has the longest history and is the most prestigious. 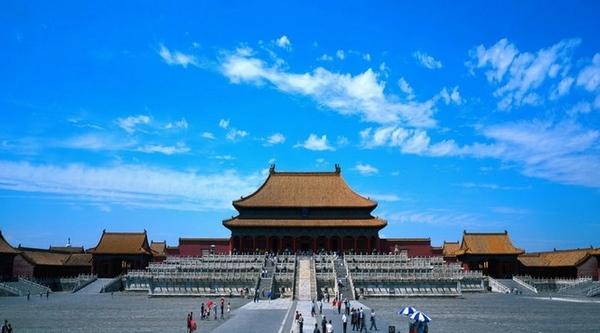 Occupying an area of 80,000 square meters (95,682 square yards), it was built initially in 68, during the Eastern Han Dynasty (25-220), with the additions built by succeeding dynasties. Then move to the- Tayuan Temple (1.5 hours): or the Great White Pagoda is a brick stupa located at the south of the Xiantong Temple in Wutai Mountain. As one of Wutai Mountain's most symbolic sights, Tayuan Temple is best renowned for housing the Great White Pagoda. The White Pagoda is actually a Sarira Stupa, named after the Sanskrit word sarira meaning 'Buddhist relic', sits on a square base with an archetypal sumeru pedestal. It is roughly 50 m (164 ft) tall, constructed of brick with a lime coating on the outside that gives its white color. Shuxiang Temple (1.5 hours): is the southwest neighbor of Tayuan Temple. Built in Yuan Dynasty (1271-1368), it covers 6,400 square meters (7,654.6 square yards), and encompasses over 50 palaces and halls.Be transferred to Taiyuan after visit. After breakfast, your local guide will pick you up at your hotel and take you to Pingyao ancient city. On the way to Pingyao, Upon arrival in Pingyao Ancient City, Your tour starts from the Ancient City Wall of Pingyao, where you can have a panorama view of the layout of this town. Then you will move on to the Rishengchang Former Bank, which shows you the original bank system in the past. Then stroll on the traditional Ming and Qing Street, a cobbled road with old buildings on either side. You may like tracing back to the former bustle bazaar in the old days. Later, visiting the Temple of City God, which also called Chenghuangmiao in Chinese. You will appreciated the wonderful wood carvings, paintings and sculptures in the old temple. In the morning, you'll be driven to Taiyuan airport for your flight to xi’an, check in hotel, rest in the hotel. Your first destination is the Big Wild Goose Pagoda, a seven-storey square cone-shaped tower which was built in the Tang Dynasty, about the 7th Century. It was used to house the Buddhism scriptures and statues brought back fromIndiaby Master Xuanzang. In the afternoon, transfer you to the Terracotta Warriors and Horses Museum.The Terracotta Army is regarded as the world's eighth wonder. 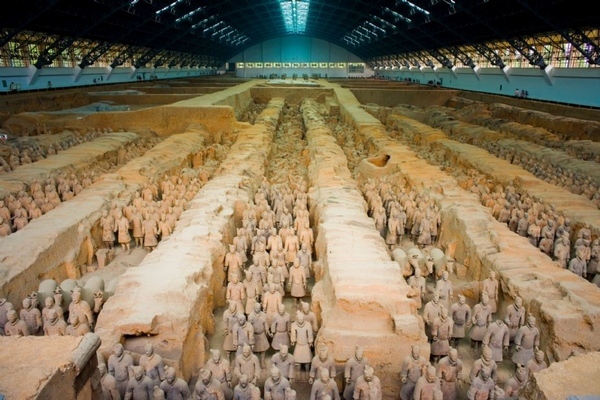 The lifelike figures and horses were orderly arranged in battle formations, which were believed to be the guards of the Qin Shihuang's Mausoleum. The affiliated exhibitions will help you learn more about the history, culture and social life of that period. After breakfast, bus to Huashan,arrived in "Outsmarted his huashan" tile MiaoGou mouth, can also take the "First in Asia" huashan cableway step into north, visit to "strange, risks, and unique, deep and remote", the famous five mountains "Huashan" (According to individual strength for 3 to 5 hours), and the clean ear rocks, climbing ladders, YuDao, the black dragon ridge, until golden experience ancient huashan road, huashan extremely among again smile aoriver's lake. This morning you will visit Shaanxi History Museum.Covered in verdant trees,This museum has adopted the classical palace architectural style of the Tang Dynasty over 1,300 years ago. There are more than 370,000 historical relics exhibited in the museum according to the time and themes, spanning from the prehistory to modernChina. It is not exaggeration that you could trace the thousands of years' Chinese history here in hours.. After lunch, ascend the City Wall, another landmark of the city. Built in the Ming Dynasty (around 14th century), Xian City Wall is the best-preserved city wall inChina. Standing on it, you can have a bird's eye view of this ancient city. If time permits, you can either walk or have a short cycling on the wall to explore the history of the city from every bricks and tiles. Then you will go to the Great Mosque, which is a perfect combination of Islamic culture and traditional Chinese architecture. On the way to the mosque, you will walk through the famous Moslem Street, where many delicious local snacks and interesting souvenirs are selling. As the tour comes to the end, our guide will see you off at the Airport,take flight to Chengdu. Today you will go to Dazu County for a whole day sightseeing. It is the birthplace of the amazing Dazu Rock Carvings which were created from the late Tang Dynasty (618~907) to the early Song Dynasty (960~1127). With the theme of Buddhism, Dazu cliffside carvings are distributed in Beishan, Baodingshan, Nanshan, Shimenshan and Shizhuanshan. Then transfer to Chongqing to embark on Yangtze cruise. 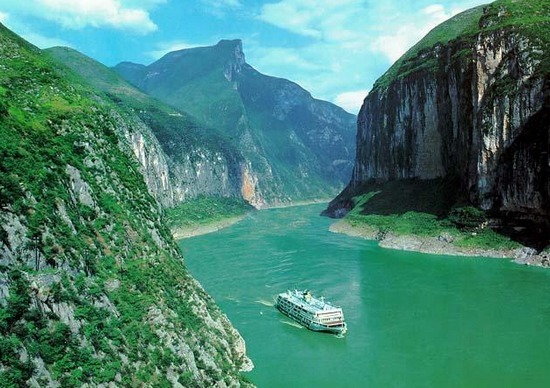 The ship is going to sail through Qutang Gorge and later Wu Gorge. Qutang Gorge is the shortest one among the famous Three Gorges. But the grand and precipitous cliffs, narrow and sinuous river way, impetuous and surgent torrent make it to be the most exciting and imposing part of the river. Measuring about 40 kilometers long, Wu Gorge is the most beautiful one among the Three Gorges. 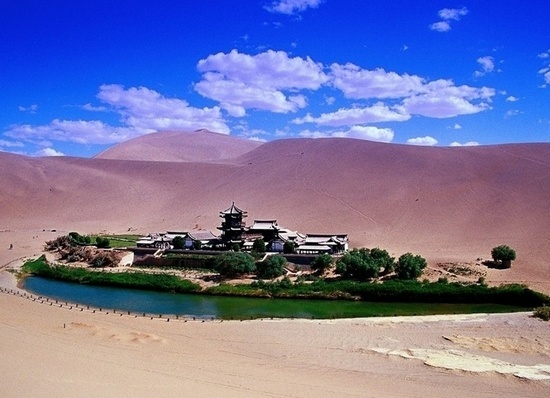 It is especially famous for deep valley and elegant beauty. Passing through Wu Gorge, you will feel like entering a winding gallery of paintings. 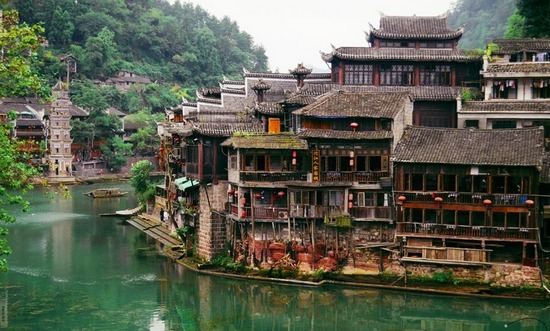 Then, you will disembark at Wushan for an excursion to Three Little Gorges in small sightseeing boats, which features picturesque natural scenery, distinctive Tujia minority culture and valued historical relics. 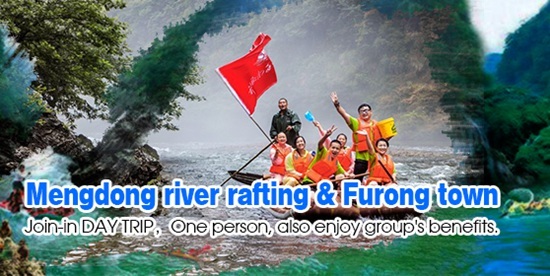 In the afternoon, continue sailing into Xiling Gorge, The longest one among the three. Once the most dangerous part with numerous reefs, riffles and rocks, Xiling Gorge is gentler and milder after years of rectification and improvement on the river way as well as the building of Gezhou Dam. At about 18:00, you will pass through the three gorges ship lock. Enjoy your sleep till naturally wake up, take the NO.1 elevator in the world up to Yuanjiajie to see the Avatar floating mountain and the No.1 bridge the world, a simple lunch on the top of the mountain.then take 30 minutes bus get to tianzi mountain, tour around tianzi mountain for bout 1 hour, take the car down, and Ten miles gallery.get back to hotel . After breakfast in the morning, transfer to baofeng lake, visit the beautiful water and mountains, take boat ride in the lake, enjoy the beautiful songs from the local girl and boy. Then we will enter into the national park again to visit Golden whip stream, you can have a very nice walk and enjoy fresh air and water there, fully relax yourself. Then transfer to tianmen mountain, you will take the longest cable car which is 7.5 KM,up to the mountain, take a walk on the suspension pathway and glass pathway, visit Tianmen gate. 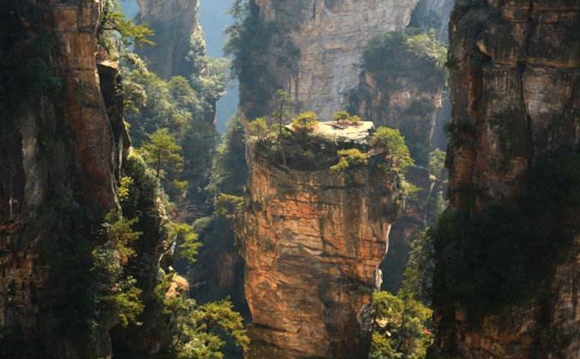 your unforgettable trip ends inthe afternoon, you can feel zhangjiajie cuisine In zhangjiajie city,then 10 minutes back drive to your hotel. 10 minutes Drive from hotel to Tujia folk park, here you can know more about the culture and custom of the ethnic group, you can also see the world’s biggest wooden house, then visit sand stone painting gallery to enjoy the unique art in china. Then you can have some free time to shop in the city. Transfer to train station, take train to nangning city. 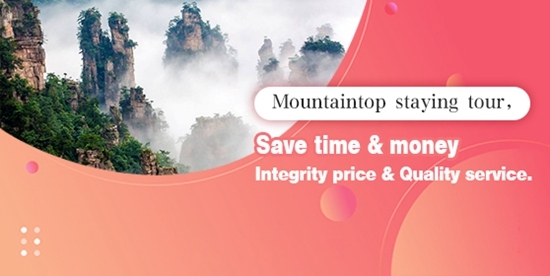 Arrive in nangning in the morng, guide and driver will meet you at train station, transfer to Guilin, check in hotel, take a rest in the hotel, Evening enjoy beautiful Guilin nightview by taking one hour Four-lake cruise, visit the largest man-made water fall in the world. 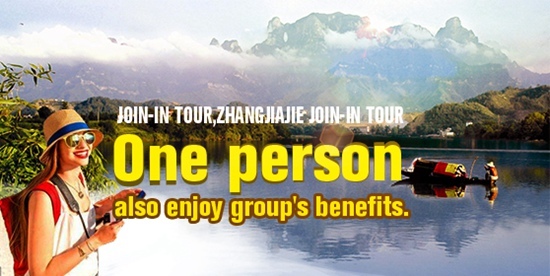 Bus transfer to zhujiang port to board on Li cruise to visit the beautiful Li river. You can enjoy the night show in the evening If you like. Breakfast in the hotel, guide can take to have a half day bicycle tour in Yangshuo Countryside road,May see old farmers house, rice growing paddy fields with farmers & water buffalos working there, visit Moon hill. Back to hotel. You can enjoy the night life at XIJIE. Breakfast in the hotel, 08:30 departure for a half day tour of Silver Cave, one of the largest cave in the world, this 2 hours visit having some steps up and down,then transfer to Guilin, visit Elephant Trunk Hill,which is located at the junction of Li River and Peach Blossom River. It is the symbol of Guilin with 55 meters high and got its name because its shape resembles an elephant with its trunk drinking from the Li River. The hill is pierced with many caves and topped with a small pagoda. Airport transfer. 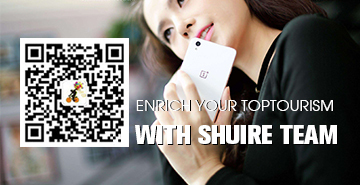 You will have the whole day in Beijing for shopping or walk around to get ready back to your cozy home next day. Guide and driver will not accompany you today. Driver and guide will meet you at hotel loby, transfer to Beijing airport, take international flight back to home. Finish a pleasant trip in china, hope to see you again. Air Flight from Taiyuan to Xian, Xian to Chongqing, Guling to Beiing. Any personal expense, including phone call, laundry service, medical cost, etc.